Founded by a team of storage industry veterans, Zerto provides enterprise-class business continuity and disaster recovery solutions for virtualized infrastructure and the cloud. Zerto Virtual Replication is the industry’s first hypervisor-based replication solution for tier-one applications, replacing traditional array-based BC/DR solutions that were not built to deal with the virtual paradigm. Ziv Kedem, Zerto’s founder and CEO, previously co-founded Kashya, acquired by EMC. Backed by Battery Ventures and Greylock Partners, Zerto is dual-headquartered in Israel and the United States. For more information, please visit: www.zerto.com. 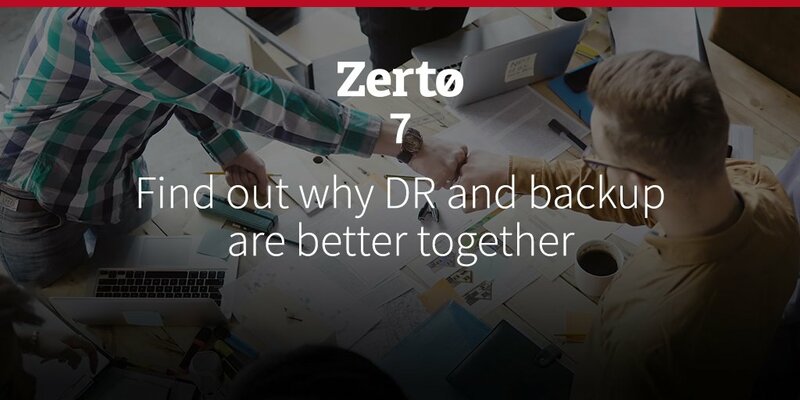 Zerto, an industry leader for IT resilience, today announced the general availability of Zerto 7.0, adding new capabilities to its IT Resilience Platform that revolutionize the way backup is done. 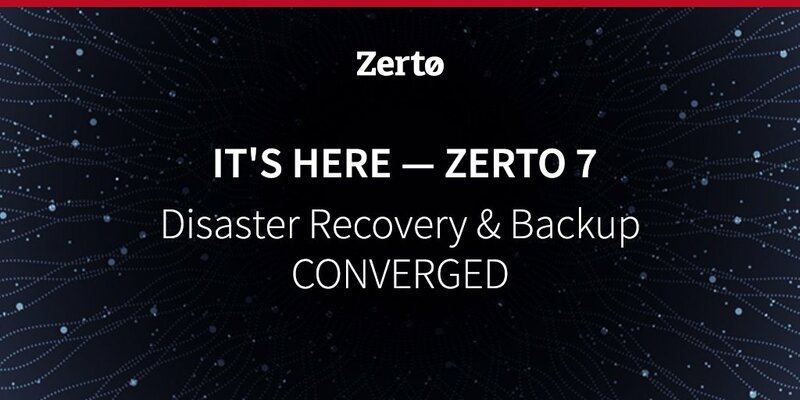 Zerto today announced the general availability of Zerto 7.0, adding new capabilities to its IT Resilience Platform that revolutionize backup. Zerto, an industry leader for IT resilience, today announced that former VMware and Cisco channel executive, Jim Ortbals, has joined Zerto as Vice President of Worldwide Channel and Cloud Sales. Zerto announced that former VMware and Cisco channel executive, Jim Ortbals, has joined Zerto as Vice President of Worldwide Channel and Cloud Sales. Zerto, an industry leader for IT resilience, is giving HPE Discover 2018 attendees the first look at Zerto 7 IT Resilience Platform this week. Why Nudge.ai? Reach out to the decision makers at Zerto with a personalized email - let them know that you found their recent news mention interesting. Nudge.ai’s relationship intelligence platform can help you find the right executive to reach out to at Zerto, such as Gil Levonai, Chief Marketing Officer, or Fara Hain, Vice President, Corporate Marketing. Then get in touch and start a conversation. Executives can be difficult to reach, but every company has connectors who bring together people and ideas. 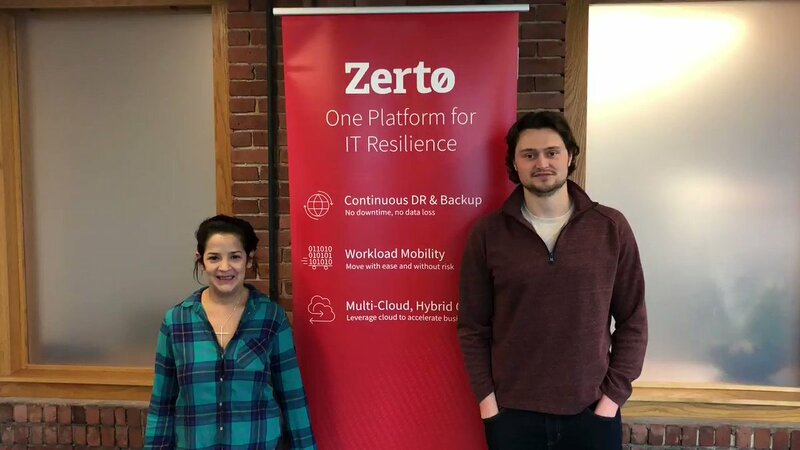 At Zerto, people like Mark Dudek, and Gil Levonai are likely connectors. 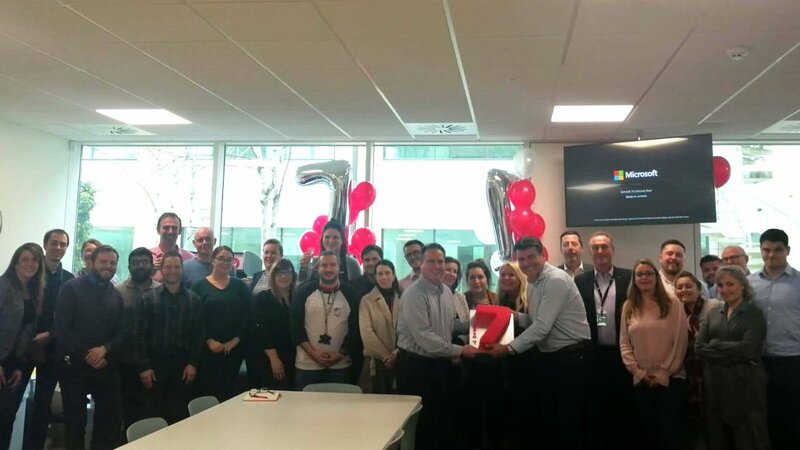 Celebrating is #BetterTogether - this week Zertonians across the globe celebrated the release of Zerto 7.0! Congrats to our team for all their hard work and dedication, it's finally here! 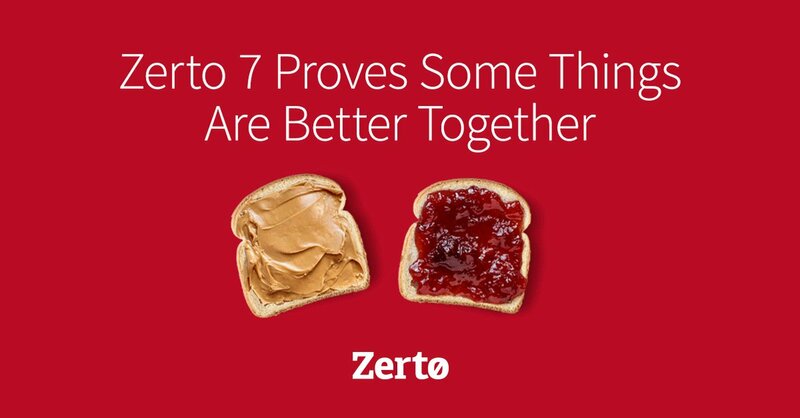 #Zerto7 proves that some things are just better together... like Disaster Recovery and Backup! What do you think goes #BetterTogether ? When Zerto is mentioned in the news, Nudge.ai often sees topics like Privacy, and Cloud. If your conversation focuses on these topics, you’ll probably get Zerto’s attention. When Zerto is mentioned in the news, companies such as Veeam, Netflix, and Whitehat Security are often also mentioned. These companies can serve as customer examples. Employees who are often in the news are usually open to starting conversations or exploring ideas. Nudge.ai's sales AI saw Gil Levonai, Fara Hain, and Mariah West from Zerto recently mentioned in the news. ABM can significantly help B2B marketers improve their bottom line, if they have their sales teams on board for the ride. We're talking business opportunities with Zerto channel executives and a CSP partner at this week's ZertoCon. Who in your network can introduce you to Zerto? Nudge.ai finds the best pathway to reach contacts at this company.